It is a really great post, thanks a lot,i knew a lot about them,but i learnt some more. 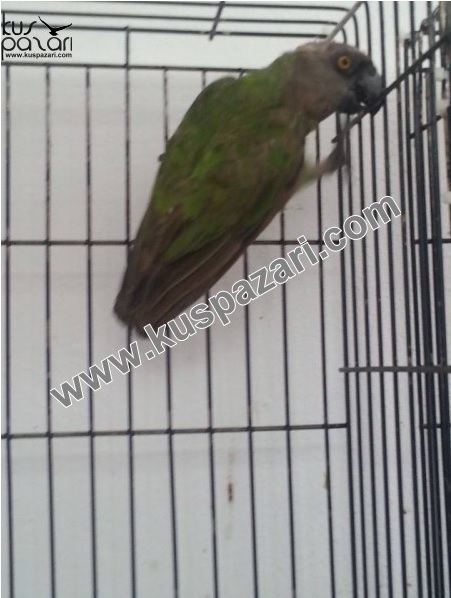 Senegal is my favourite spiece of parrot, also it is suitable for both cottage or apartment,they do not scream a lot. I live in an apartment, i have 3 together in a big cage,and they do not make too much noise,they are beautiful, clever,pretty and very very veryyyyyyyyyyyyyy friendly,they are doing like crazy when i play with them and when they see me coming home after work. Hi everybody , thanks for for informations. One day ago I got a new Senegal parrot my first parrot , he said to me 7-8 months. but yellow eyes, big beak, feathers, not live. Looks like the elderly. I was feeling bad. I'd like puppies. Mecnun wrote: Hi everybody , thanks for for informations. Could you explain as I don't understand, what is not live? I mean , bad colors . my new parrot actually my first parrot. i dont know age of my parrot . dealer said 7-8 months but i dont trust him . and i dont know female or male . 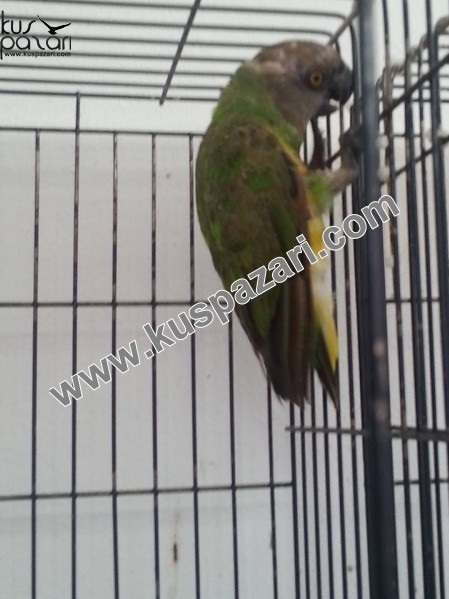 What do you think about this parrot guys ? You are right to not trust this dealer as this bird is not 7 or 8 months old. I would believe that he is 7 or 8 years old, and I am saying he because he is a male. I don't suppose that he is banded? The poor color is most likely due to a poor diet, so do you know what he has been eating? Also what are you feeding him? Have you given him a name yet? Wolf wrote: You are right to not trust this dealer as this bird is not 7 or 8 months old. I would believe that he is 7 or 8 years old, and I am saying he because he is a male. I don't suppose that he is banded? The poor color is most likely due to a poor diet, so do you know what he has been eating? Also what are you feeding him? Have you given him a name yet? 7 8 old ha ? i feel really bad . I think the dealer was feeding the parrot with poor forage. only the core and water. parrot now has no name. I think Zeus or Dean. but the old parrot, and this makes me sad. I am in shock following the salesman told me 7-8 months he said. Well, let's start by dropping down and starting our own topic here in the Species forum. I will go ahead and start it and try to answer you further in the new topic. I will call it Zeus ? , Look for it.